Giant machinery is now so ubiquitous as to virtually blend into our world unnoticed. Wherever you look these days, if you peer around long enough they are usually to be spotted somewhere in the picture, even as you admire the scenery that frames them. There they are busily unloading ships, cutting out swaths of mountains, building our houses, shops and shopping malls; they fly us through the air, take us here there and everywhere, and pretty much do whatever it is that we want done. And so, if we are so easy with massive machines doing what they do in the 99.99 percent of the non-marble world, why should not this same seemingly unstoppable force of progress be unleashed to benefit the extraordinarily successful Carrara marble quarrying industry? Why should they be denied the very tools and equipment so readily available to every other sector of the economy – not to mention their direct rivals elsewhere across the world? On the other hand, the counter claim to all this positivity surrounding the various fortunes currently being made is that, far from bringing prosperity to the region, the current marble boom has brought naught but misery, poverty and despair. From the local’s point of view nothing in the way of benefit has come their way. All they see is an accelerated ecological nightmare tearing at the very heart of a long and extraordinarily proud culture. So aggrieved are the local population that plans are now progressing to close quarries, reduce production, and drastically curtail the scale of the global Carrara Marble brand. And there we have it, The Great Marble Divide: whether to tear ahead at full speed and remove as much and as fast as possible – or – carefully manage the supply of marble and revere each precious block. I know what your are thinking. Which side of this increasingly contentious issue am I on? Sorry to disappoint but I am on neither one side or the other, for I feel strongly that – world’s apart as these two opposing sides appear to be (as you are about to find out), I – yes, I Martin Cooney, have something of a solution. Or at least a direction to head in if we are to arrive at a feasible solution. Not THE solution, the one that will solve everything in one fell swoop, but as I will outline as this post unscrolls, the sheer magnitude of the problem can make it appear almost unsolvable, and so I say let’s start by breaking this complex subject into the two separate issues. Firstly there is the issue of volume, to which I have nothing of merit to add. Volume of trade is a subject of its own, and while I may harbor my own opinions I don’t really think they are worth sharing to be honest, for I am no expert on the subject. No, my expertise derives from what I believe to be is a unique understanding of the superb carving properties of what essentially comes down to ‘quarry waste’. That’s right; for second on the grievance list, after the sheer quantity of marble extracted from the mountains, what seems to rankle most people is the volume of marble lost to waste with many modern day quarrying techniques. It is this ‘quarry waste’, source of much rancor with the locals, that I think could provide a very real solution to the whole issue of what is and what isn’t waste. Granted some, even much, of this “debris” may be useless and ultimately bound for the crusher. But I can tell you with absolute certainty that, here and there within the junk, there are real, true, hidden gems. Hidden gems worth their weight in marble – and we all know how expensive marble is these days! I have read a great many accounts of this long-simmering feud, but have recently sensed that, after years of accusation, claims, insults and counter insults, perhaps this whole unfortunate state of affairs is at last rolling to a boil. And so, although I could have chosen perhaps a more clinical account, I really thought that Veronique Mistiaen and Chiara Briganti, to their credit, but while in no way disguising their various opinions, never-the-less managed to transfer much of the raw emotion surrounding the subject – an aspect of the debate that I definitely noticed when I was there in 2014. While the two sides appear more strongly divided than ever, from my perspective both were essentially claiming the same points: that they cared deeply for the land, the culture, the history, local economy, the lot. And I have no doubt that they are both right. So if you keep on scrolling, and reading, I am going to explain exactly how such a miraculous solution is at hand. Right under our noses as it were. My reply will be posted immediately in plain text immediately below each segment of Newsweek’s blue text. OK, I think there is a lot going on in the opening salvo – way too much if I’m honest, and then there’s that title. Impartial, I’d say not. Hang in there though, for once they have set their “blood red” tone, anarchistic leanings, and laid down their obligatory historical guide to the area, they really do manage to pull us into the story, down into the nitty-gritty push and shove of it all, down to where it matters, to the very crux of the issue; pride and profit. I’ve done a lot of travelling in my time, and in all that time I have never seen a region so strewn with vivid, graphic, often gory war memorials. Once you notice them you will continue to discover them practically everywhere. I’ll do an entire post about them one day, but the point I am making is why ever inflame passions, tensions and old blood feuds in order to make a point? Yes yes yes, much of the past was horrible, but much more wasn’t, and what is left of the past should be used to build upon the future. Do these old tensions matter in the grand scheme of things? My forward thinking plan brings jobs, prosperity and dignity to those who currently, by their own admission, feel hopeless, left behind and abandoned; isn’t that the ultimate goal of all parties here? Oh yes, and the quarry owners can continue to be just that, even if an amalgamation or two may become the order of the day. I suppose that, if its possible to ignore the unnecessarily inflammatory tone favored by the two journalists, they can point to what they are saying as fact verifiably true. For I must say that for during the three months I toured North West Tuscany, back in 2014, I made it a point to avoid the confusing town of Carrara. To me it appeared run-down in character; the place seemed beaten, bewildered and even perhaps betrayed. All that marble – all that money, and yet the state of what obviously once was a proud civic community told me that precious little of it trickled into “world famous” Carrara. The social injustice that the authors hang their article upon is very real, that’s for sure, but the wider issue still remains firmly rooted in the day-to-day reality of modern marble quarry practices. Who they employ, and how much they pay, is to my mind a quite separate issue. I’m sure that much of the unfairness/violence/incarceration unleashed upon the marble workforce was well within the dire (by 21st Century standards) norms of the day, and equally familiar to workers, unions, and political activists across the land and beyond. Life was tough back then, across the scale, across the world, and across every social spectrum; why can’t we simply acknowledge that and move on? People did what they needed to do to survive, so in that sense nothing has changed to this day. Anyway, our journalistic duo have laid out the ground: a few (of many) old injustices duly re-ignited, but into all this we are given a whiff of optimism in the form of a proclamation demanding drastic and immediate land reform. “Marble is in the DNA of the people of Carrara,” says Gemignani. “It represents our history, our skills and even our wounds (for working the marble). A pact of reciprocal respect bound people to their mountains… But now it’s all gone.” The pact has been broken by globalization, market forces and new excavation methods. In 1920, less than 100,000 tons a year was extracted from the area’s quarries. Today, the figure is more than five million, as local marble barons try to compete on price with producers in China, Russia and India by carving up the mountains at a relentless pace, using diamond saws and huge mechanical shovels. Again with the over the top headline. Bit dramatic and quite definitely not true, as in Bin Laden did quite obviously not purchase “Tuscany”. And of course such news is pretty out of date as I type this. But as you mull over the stats remember, these are no ordinary quarries, many of them qualify as archaeological sites that have been worked for over two thousand years. As for the international marble market, BL’s family’s role in it, or anything else, I know nothing. But one thing I know for sure is that, if all parties can agree to put aside differences and work to a solution, rather than succumb to settling long-held grievances, not only can all parties prosper, but a revival in the region’s fortunes will incorporate the entire population. Well, a percentage – as in the lions portion – of quarried marble will always, and has always, been rendered into building material, but you can sure understand the pride, frustration and even anger these people feel over what they see as outright betrayal of their culture, their craft, their way of life. They want, nay demand to make their contribution to high civilization and its resplendent culture – and with their unique history and tradition I have to say that “they do have a point”. As for “archaic law”, “Maria Teresa d’Este, Duchess of Massa and Carrara”, “systematic under-invoicing”, no offence but, whilst these and many such problems plague and exacerbate Carrara marble’s Great Divide, I would hardly say that these sorts of issues reside exclusively within the Cararra marble industry. Furthermore I have no doubt that with a common goal to unite both sides much of the acrimony will dissipate and each of these seemingly intractable problems may be dealt with under a spirit of communication, co-operation and transparency. Fabrizio Lorenzani, 52, a sculptor and teacher at the country’s only marble school, closes the door for the last time of the studio where he and his wife have spent years working. His is the last studio in the area to have been turned into a warehouse to store marble blocks awaiting shipment. “Ours was a place for dreaming… And now it is gone. Michelangelo’s marble city has no room for its artists,” he says. At the turn of the century, Carrara was one of the fastest-growing cities in Italy – a vibrant centre of culture and art, known worldwide not only for its exceptional marble, but also for its master sculptors, skilled artisans and stonemasons. Trained at the city’s Academy of Fine Arts (the oldest one in Italy) and the at the Marble School, they executed original commissions for renowned artists, reproduced copies of masterpieces and made decorative objects. Most of the marble fireplaces in London were made in Carrara’s workshops – including those in 10 Downing Street. Here it is that I and my own personal experience entwine with the story, for I myself trained and then worked as a Banker Mason. Having acquired my NVQ Level 2 credentials at the City of Bath College I carved stone professionally, upon a ‘banker’, within ‘banker shops’ in and around Bath. One by one, piece by piece, we worked our way through an entire building; doors, windows, stair steps, ashlar, you name it. And once we finished one building we began on the next, and so forth. Even when I worked for myself over here in Colorado I worked this way. It is after all the only way. But, that was then. These days they have machines that would make your head spin. It’s no longer a matter of what they can do, but what they can’t. In short, machines have completely taken over what was the banker masonry industry. Sure the odd pockets of tradition still reside, but their numbers would seem to be dwindling by the day. So, its a problem, it is. The solution however cannot be found in catering to the hobby tourists, but in the establishment of credible, professional artistic, artisan, and industrial centers that will, over the coming decades and beyond, systematically gleam through and render what is now a mountain of unslabbable fragments into, well whatever you can imagine. I can imagine a million and one household items from soap dishes to cheese boards, exquisite and unique sculpture to hand carved marble tiles. The possibilities are endless. Why? because whereas much of that lovely marble was rejected due to some perceived defect of the day, the overwhelming majority of it is of quite superb quality. If however the block held too many intrusions, defect, wrong shade or color, defect, awkward shape (very common), defect, a large crack running through it, defect. One way or another, strange as this may seem, many if not most rough marble blocks failed to make the grade, and so now you see them years, sometimes centuries, later scattered just about everywhere. So much of the prime quality marble is just laying around here there and everywhere that there is practically nowhere throughout the entire region where you will not see it. Now what if I were to tell you that practically every scrap of this scrap marble could be worth an absolute fortune, what would you think then? Furthermore my plan would see whole communities restored, jobs return, and prosperity across the region like never before. Please, read on. “Carrara’s fate started to change after the Second World War. The quarries were in new hands – some because the Fascist leader Benito Mussolini had stripped them from the old families, others simply through generational change. New technologies dramatically increased production while reducing the workforce. Still, throughout the 1950s, some 16,000 people were employed in the quarries and many more in related activities. Nowadays, fewer than 1,000 people work in the quarries and the industry at large employs barely 7–10% of the region’s population. “Whenever I look at our mountains, I see more destruction: their shapes are altered, their peaks are disappearing”. What a sad, depressing thing to read for the first time. What does he mean? When I first heard this I simply could not summon the pictures in my mind. Even after looking it up online I still could not get my head around it; shape shifting mountains. All the mountains I had or have ever known have pretty much stayed the same. Exactly the same as it happens. But these quarries in Italy, so big they change the shape of the mountains – this I had to see. And so I did. And yes, they really are THAT BIG. As for the exceptional nature of the local workforce, once people realize the potential in turning quarry waste into valuable sculpture, in the form of their own version of my durable Direct Method Curvilinear Sculpture, money, interest, and a renewed sense of pride and self worth are sure to follow. Carving marble is in their DNA, and now their is an exciting and expressive way to make it pay. This is great, we’re now talking about “fragments”, and it is precisely these fragmented pieces of perfect pure marble that I am, have been, and will be talking about to anyone who will listen. Three point eight million tons of fragments! Close your eyes and imagine that. As previously mentioned, I myself merely took a few scraps – a ton or two of bits and bobs, a ten ton slab of Colorado Yule Marble, and whatever I could muster from the floor of the Roaring Fork Valley, and turned them into sculptural pieces that have sold for several thousand dollars a piece. Now, turn your mind back to those marble rubbish piles, those heaps of future toothpaste, and ask yourself just how much in the way of money is there simply lying around, waiting for a direct method sculptor/artisan to hone it into a magnificent, say, Hand Carved Marble Bowl, unique marble sculpture or decorative architectural feature. For whereas the marble industry operates strictly upon a “six sided sawn” policy, we modern 21st Century Direct Method sculptors not only accommodate many of the supposed defects – discoloring, cracks and fissures etc – but actually exploit them to beneficial use. Kudos to Mistiaen and Briganti here for steering the conversation away from sentiment, tradition, culture, history and politics, and on to money. As the old saying goes; always follow the money. Here’s the point though, and it is an extremely IMPORTANT point: when carving a block of stone via Direct Method, and especially when my own Curvilinear Reductionist principle is applied, all marble material that is not part of the finished sculpture – i.e. laying around on the ground, collected in the dust traps etc, may be gathered in dumpsters and delivered straight to the toothpaste factories for crushing. In other words, if a rough block of marble is carved utilizing my Curvilinear Reductionist Technique, then even after producing my signature Hand Carved Marble Bowl roughly three-quarters or more of the original block will be available for crushing or processing in any manner whatsoever. Now we are talking about a financial revolution, as most certainly this exciting newly available raw material – in the form of large marble fragments – will be worth a great deal more to the new burgeoning ‘Direct Method Fabrication Industry’ than a miserly 4 Euros a TON! Plus the region’s reputation, character, profile and esteem will be greatly enhanced once these new and exciting marble products begin to hit the world stage. So vast is this material stockpile that I can easily see the arrival of a proverbial second cultural and artistic Renaissance, perhaps just as lively, inventive and profitable as it was the first time around. This time however, as opposed to grand civic commissions of yesteryear – palaces, monumental statues, grand staircases etc. – the revenue stream will derive from thousands, or even millions, of individual purchases of the domestic variety. The world has changed a great deal over recent years, and as I have found here in Aspen, Colorado, there is a growing interest in acquiring smaller light weight marble sculpture that is easy to pick up and move around and inexpensive to ship. This in turn opens the door to a vast market of stylish consumers that is as yet untapped. “Even Focolaccia, the highest pass in the Apuans, between Mount Cavallo and Mount Tambura, is now an open quarry – the old salt route ran through that pass,” says Tetti. In addition, intensive quarrying is affecting the hydrogeological cycles and destabilizing the mountains, and marble waste is affecting waterways. The Carrione River, which flows through many quarries, is now choked with detritus, causing devastating floods. In 2014, Tuscany’s regional assembly adopted its Regional Landscape Plan, based on a different concept of territorial governance. The idea was to prevent the Carrara-ization of the rest of the Apuan Alps and calls for the gradual closure of the quarries in the geopark, a ban on excavation above 1,200m and near water sources, and the replacement of mining in the park with a sustainable economy that would benefit the entire community. As a result of aggressive lobbying by marble companies in the area, a watered-down version is now being discussed. “Even the region is cowed by the marble barons,” says Riccardo Canesi, 58, a geographer and former Chief Secretary of the Ministry for the Environment. I think we can all agree that there has been massive exploitation, combined with a haughty disregard for nature wherever marble is quarried in and around the Carrara district. Evidence is everywhere. However that does not mean that no one cares, they care a lot as it happens. It’s just that when the abuses of such a long period of time pile up and up until there is nowhere left to stash them, then I think we can all agree that some sort of change of policy a top priority. A new approach to marble quarrying is needed, a recognition by “the marble industry” as to the legitimate concerns of local residents and environmentalists alike would help. The future of the marble industry can be many things, but it must remain robust, healthy and profitable. Our local Colorado Yule Marble is living proof that a modern day 21st Century marble quarry can not only be a lucrative, productive and practical ‘pillar of the local community’, but can emerge from the environmental/employment equation as sweet as a bowl of late summer grapes. On 10 March, however, Tuscany’s regional assembly approved a law that might make Canesi reassess his prediction. The law declared the marble fields the “indisposable property” of the citizens of Carrara, ending the old Este privilege. In addition, all quarries’ concessions will be gradually reassigned through tender and only to those who commit to process locally at least 50% of the marble they extract. This could be an epochal decision, and the reaction of the industrialists has been explosive – furious, stunned, unable to imagine that their quarries might be auctioned off. And their lawyers are already getting ready for litigation. Carrara would rejoice, if its people had not become cautious through experience. Past attempts at legislating over marble were quietly dismissed through a series of amendments in favor of the industrialists. Now, with the combined weight of Europe and the Region leaning on him, the mayor has declared his commitment to returning the quarries to the town. However, circumventing EU regulations, the Region has already allowed extensions to the enforcement of this new law for a minimum of seven to a maximum of 25 years. And so we end right where we began – more petrol on the flames of division. Textbook character assassination. “Proto-industrial colonial style economy”, ‘furious industrialists’, “old este privilege”, that sort of thing. Surely this is all the language of the past. What for pity’s sake is a family to say once they realize that for the sake of ‘unity’ and the blind assumption that doing anything is always better than doing nothing, they are now obliged to turn over their quarry to the state? What would you say? Look at it this way, North West Tuscany is far far far too beautiful, ancient and regal to let this pesky issue ruin the quality of life for its residents. Someone, I don’t know who it is, they don’t at this point, but at some time in the near future someone will connect the dots, make the calls, hear me out and then, together, we can begin to roll back the tide of public opinion by actually turning what is now a seemingly unsolvable problem, into a win win, win win win situation. Please, marble industry, don’t waste a minute, let’s get started – we’ve actually got a lot to do. 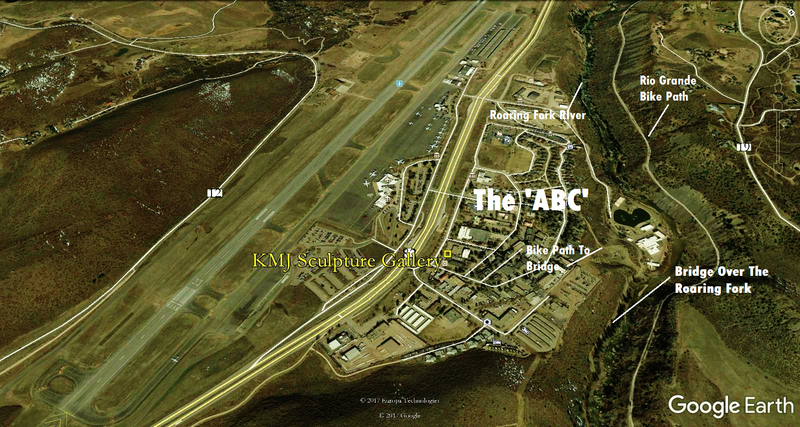 Please call me: 970 319 1070 or email martincooneystonesculptor@gmail.com. 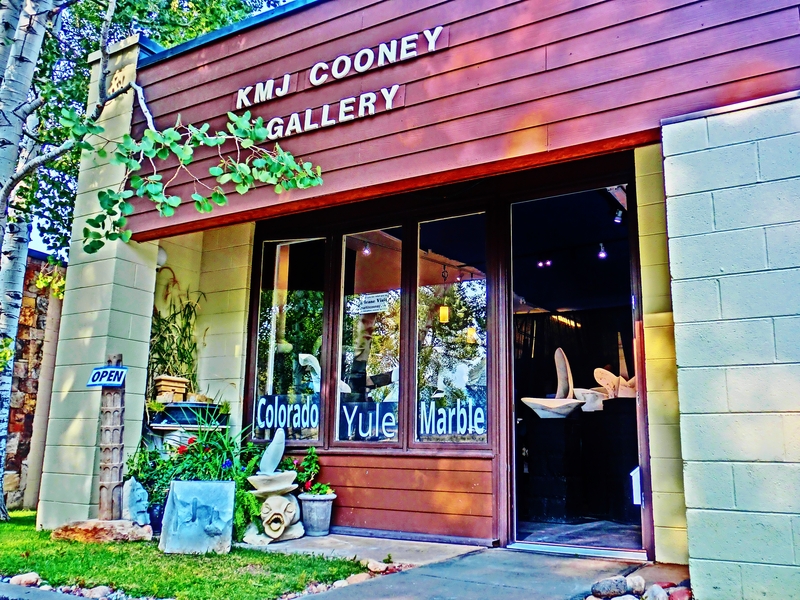 Stop by at THE KMJ COONEY GALLERY 111 Suite D, Aspen, Colorado. 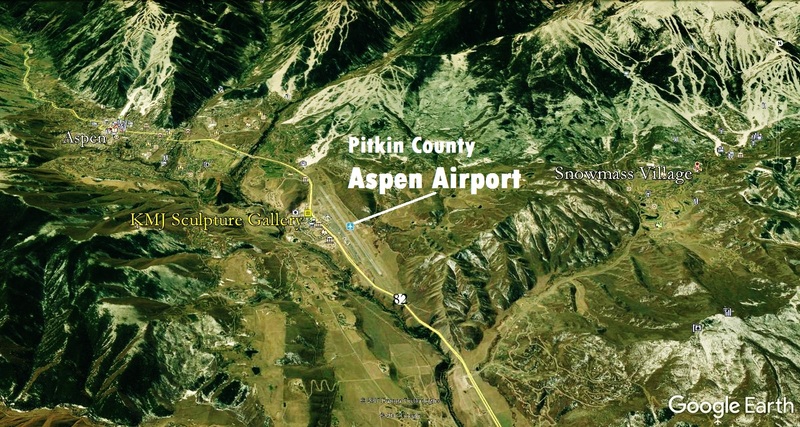 This entry was posted in All Postings, Posts about my Sculpture, The North West Tuscan Way and tagged Art, Artist, Aspen, Carrara, carving, curvilinear, debate, direct method, fragments, Martin Cooney, photography, photos, pictures, quarries, quarry, reductionist, sculptor, solution, Stone, trouble, Tuscany, waste, Yule marble. Bookmark the permalink.